Vitaly Shlykov, a member of the non-governmental Council on Foreign and Defense Policy; in the early 1990s, deputy chairman of the RF State Defense Committee. Resume: It is now time to recognize that the reform of the early 1990s was wrong. Such a complex and unique system as the Soviet militarized economy cannot be restructured by pseudo-market methods. First of all, it should be demilitarized on the administrative level, mobilizing the entire power of the state, and only then can a market economy begin to be built. It is now time to recognize that the reform of the early 1990s was wrong. Such a complex and unique system as the Soviet militarized economy cannot be restructured by pseudo-market methods. First of all, it should be demilitarized on the administrative level, mobilizing the entire power of the state, and only then can a market economy begin to be built. Sixty years ago, on March 5, 1946, Winston Churchill, at that time the former U.K. prime minister, gave his famous Fulton speech that is generally seen as the formal declaration of the Cold War. Churchill described the ideological division of Europe as an “Iron Curtain,” urging consolidation in the face of the Communist threat. Churchill of course realized that Stalin needed such amounts of steel, oil and gas not for peaceful competition with capitalism. From his previous war experience, he knew that arms production hinged primarily on the availability of metal and fuel. The Soviet leader probably knew this even better than Churchill. Stalin could not have easily forgotten that even the superiority the Soviet Union had over the enemy in tanks and aircraft at the beginning of the war could not save the Red Army from devastating defeats: almost all of the military hardware that the Soviet Union had accumulated in the prewar years was destroyed within the first several months of the war. Nonetheless, despite colossal losses caused by the Nazi invasion, Soviet industry eventually produced far more weapons than Germany. Even in the difficult conditions of 1942, the Soviet Union managed to produce six times more tanks than Germany (24,700 compared with 4,100) and 10,000 more combat aircraft, although Soviet industry produced 8.5 mln tons of steel compared with Germany’s 35 mln tons. The Soviet Union’s more productive industry in comparison with German industry was due to a more effective mobilization system that was adopted in the U.S.S.R. in the late 1920s. It was based on the U.S. mobilization model that prioritized dual-use technology in arms production and supplies. The Soviet Union built, with U.S. assistance, huge state-of-the-art tractor and motor plants, while the tractors and motor vehicles were so designed that their key parts and components could be used in the production of battle tanks and aircraft. The Soviet State Planning Agency (Gosplan) rejected the Nazi approach, which provided for the creation of specialized military production facilities, as extremely labor-intensive and leading to immobilization of resources. The war confirmed the advantages of the U.S.-Soviet mobilization model. Both the United States and the Soviet Union were building 30,000 tanks a year whereas Nazi Germany, despite the priority of tanks in its war strategy, was unable to put out more than 4,000 machines a year (the production of one Tiger tank required about 200,000 man-hours). In the prewar years, the Soviet leadership did not emphasize boosting military production or increasing the military’s numerical strength. Rather, it focused on the development of the basic branches of industry (metallurgy, the fuel and energy complex, etc.) as a basis for the mobilization of production in the event of war. The archives of the State Planning Agency show that before 1939, investment in the basic sectors of the economy and general machine-building was several times higher than investment in military production, with the quality of civilian products being every bit as good as those of the military use. Despite the existence of military threats along the entire perimeter, the Soviet Union maintained a relatively small army until the outbreak of World War II with 500,000 to 800,000 men. Stalin decisively rejected the demands of the military establishment for the creation of a mass army (up to 250 divisions) with tens of thousands of tanks and aircraft, and even called Marshal Mikhail Tukhachevsky a “Red militarist” for making such demands. Instead, he channeled the bulk of the available resources to the development of machine-building and basic sectors of industry. Not surprisingly, after World War II the prewar mobilization system that had proven so effective was completely restored. The armed forces were downsized from 11 mln to 2.7 mln in 1947, while the military industry was decisively converted to civilian production. The share of military output in gross industrial commodity output shrank to 3.3% from 6.9% in prewar 1940. Capital investment in the military industry in 1946-50 was half of the prewar (1938-41) level. Investment in raw materials and basic sectors of the national economy was a priority throughout the Soviet era. Furthermore, the list of resources included in the mobilization plan was constantly expanding. The appearance of nuclear weapons and missiles required absolutely new materials, alloys, rare-earth metals and elements, and so forth. Under the plan, in 1960 the country was to increase the output of copper by 60%, aluminum 210%, lead 42%, zinc 77%, nickel 64% and tungsten concentrates 57% on 1955. In 1957-60, twice as many resources were provided to increase the fixed productive capital of the non-ferrous industry as in 1951-55. Contrary to the Western view, the Soviet top brass did not think that the Soviet Union had military superiority over its possible adversaries. It operated on the assumption that in the event of war, the West would easily compensate for its lack of available weapon systems with the greater mobilization capacity of its industry. The purportedly huge mobilization resources in the United States and other NATO countries, which were also on an increased state of alert (as the Main Intelligence Directorate of the General Staff regularly reported), were a decisive factor in the constantly growing arms production levels in the U.S.S.R. According to the Pentagon, from 1974 till 1982, the Soviet Union produced 5.9 times as many ICBMs as the United States (2,035 compared with 346, respectively); 2.7 times as many tanks (17,350 and 6,400); 7.6 times as many infantry fighting vehicles and armored personnel carriers (36,650 and 4,800); twice as many tactical aircraft (6,100 and 3,050); 1.2 times as many large surface battleships (85 and 72); 2.3 times as many multirole submarines (61 and 27); 16.5 times as many SSBNs (33 and 2); 1.6 times as many nuclear tactical missiles (5,850 and 3,550); and 38.1 times as many field artillery pieces and multiple rocket launchers (13,350 and 350) (Annual Report to the Congress. Caspar W. Weinberger, Secretary of Defense. Fiscal Year 1987. P. 24). Could the United States have overstated Soviet arms output? There are no grounds for this conclusion. Actually, the United States seems to have underestimated the size of the Soviet military arsenals. For example, the Americans believed that the Soviet Union had produced 30,000 nuclear warheads and 500 to 600 tons of highly enriched uranium. As a matter of fact, according to former Soviet Atomic Energy Minister Vladimir Mikhailov, the Soviet Union had produced 45,000 warheads and 1,200 tons of weapons grade uranium (The New York Times, September 26, 1993). The U.S. estimate of Soviet tanks at a little over 50,000 was also incorrect; in fact, the Soviets possessed 64,000 (other sources put the number as high as 68,000). Clearly, the Soviet Union strove not to fall behind the Americans in anything, maintaining its own mobilization capability on the same level. Pressure by the General Staff to meet the requirements of mobilization plans was especially pronounced in continuous-flow production (aluminum, coke, etc.). A good case in point was in the production of aluminum, of which the Soviet Union produced 4 mln tons annually. Aluminum was not exported since it was considered to be strategic material. According to the State Planning Agency, not more than one-fourth of total rolled aluminum products were used in military production. In the civilian sector, aluminum was used only in the production of kitchen utensils and in the construction industry. Some of it went into the mobilization reserves, but there were simply not enough storage facilities for the aluminum that was produced over the decades, thus a considerable part of aluminum was presumably smelted down again. There is a story attributed to Boris Yeltsin, who said in the 1990s he had witnessed a scene in Sverdlovsk when a brand new tank left the factory where it had just been made, crossed the street, and entered another factory where it was immediately smelted. To provide fuel for tens of thousands of tanks and aircraft in wartime, many oil refineries were built, thereby producing more fuel than could be consumed in a peacetime economy. It was an absurd situation. The Soviet economy had long exceeded the targets for steel, coal and oil production that Stalin had set in 1946. Nevertheless, there was a shortage of those products in the real economy that worked frantically to produce even more. At the same time, collective farm fields were littered with millions of tons of parts and components from broken tractors—in effect, disposable, single-use machines—while tractor production was steadily growing. Industrial equipment and machine tools were becoming more and more metal-intensive. Mounds of fertilizers were left sitting along railroad tracks in the open air, rendered useless by the rain and the elements, because the fertilizer-making plants were operated mainly as a resource base for the ammunition industry. Many economists came to the conclusion that extravagance and waste were inherent features of a planned economy. They figured the only way of ending the madness was through the liberalization of prices and freedom of enterprise. They failed to see, however, that during World War II Soviet industry had been quite effective and probably more cost-effective than the German or even the U.S. economy. At a Russian Defense Council session in November 1997, it turned out that the main enforceable legal document on mobilization readiness of the national economy was the 1986 mobilization plan that, among other things, provided for military supplies to the armed forces of the long defunct Warsaw Pact. The government only addressed the mobilization problem when President Vladimir Putin, at a Security Council session on November 27, 2001, observed that “our economy is no longer centrally planned,” while mobilization rules had been in effect since “days of yore,” and that the mobilization structure of the defense-industry complex was bloated. 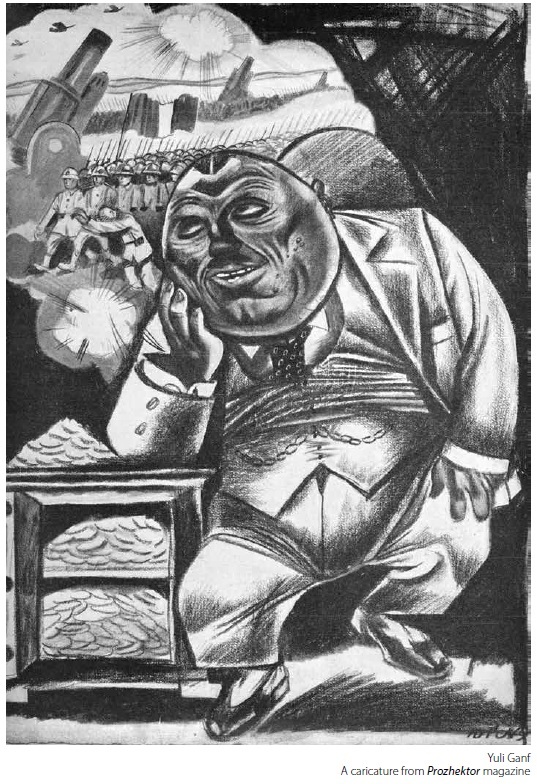 There is a commonly held belief that the Russian leadership inherited a ruined country from the U.S.S.R., with references made to the empty store shelves and depletion of state gold and hard currency reserves which, according to Yegor Gaidar, stood at a mere $55 mln at the time he came into office. Of course, if only these two indicators are used to assess the state of the economy, today’s abundance of goods and the country’s impressive gold and hard currency reserves favorably contrast with the 1991 situation. However, once the material and technological resources (as opposed to its financial resources) that Russia had at that time are compared with what it has now, the situation will look very different. As a matter of fact, Russia inherited from the Soviet Union material of colossal value that with a certain level of knowledge and effort could be quickly converted both into hard currency and consumer goods. Not everyone realizes that this legacy, as opposed to the energy of the “freed-up market,” produced the state’s hard currency reserves, full store shelves, multibillion personal fortunes, and even tens of billions of dollars under the mattresses of ordinary Russians. The main objective of the Soviet mobilization system was to accumulate the maximum possible amount of material resources in the event of world war. This accumulation was secured by several methods. One primary method was the construction of so-called state reserves in the form of reserves and stocks of foodstuffs, drugs, fuel, metals, timber, equipment, railroad tracks, etc. These stocks were stored at thousands of special facilities dispersed throughout the Soviet Union and strictly monitored and controlled by the state; to that end, there was a special government agency with the status of ministry (Goskomrezerv). These reserves were to be used not only in wartime, but also in various emergencies (natural disasters, severe winters, crop failures, etc.). Another method of accumulating wartime reserves was the creation of mobilization stocks (e.g., raw materials, equipment, components) designed exclusively for the production of specific types of arms in the event of wartime mobilization. They were stored, as a rule, at the same enterprises where a particular weapon system was to be deployed in case of war. The main mobilization resources that Russia inherited from the Soviet Union, however, did not come from Goskomrezerv or defense enterprise stocks, but from production capacities that had been created in the raw materials and basic sectors of industry for wartime exigencies. Whereas the Goskomrezerv and defense-enterprise resources were worth tens of billions of dollars together, the raw materials and basic sectors of industries for mobilization were worth hundreds of billions. Still, the largest share of investment did not go into the defense industry, but rather into the development of basic industrial sectors, the raw materials sector and associated transport services. Furthermore, their share in aggregate investment was constantly growing. Whereas in the 1960s-early 1970s, the share of investment in the fuel and energy complex was 10%, in 1980 it rose to 12%; and between 1986 and 1990 it rose to 14% of the total. By the mid-1980s, the transport sector accounted for 12.4% of total investment, whereas in the 1960s-early 1970s it stood at only 10%. New industrial facilities were created at higher rates than average for the production of new materials. For example, the Soviet Union was producing more titanium than the rest of the world taken together. Growth of investment in raw materials and basic sectors of industry was of course secured at the expense of other sectors, primarily the production of consumer goods. As a result, demand for consumer goods, more or less balanced until the 1970s, was no longer met by domestic production alone. Attempts to compensate for the shortage of consumer goods with imports only further unbalanced the economy since the Soviet wartime economy model was originally developed as a closed and self-sufficient system. It remained as such until the 1970s when grain, followed by consumer goods, began to be imported on a large scale, which in turn pushed up the export of oil and natural gas. Meanwhile, the Soviet wartime economy model was absolutely not designed for such exogenous impacts, which provoked shortages of consumer goods, inflation in place of price stability (and even regular price reductions in the postwar years), money supply growth in place of strict monetarist policy, and the devaluation of the ruble. Unable to understand the situation at the beginning of the perestroika era, politicians, the majority of economic experts, and the media attributed all economic woes to excessive defense spending. Academicians Yuri Ryzhov and Oleg Bogomolov, followed by Mikhail Gorbachev in April 1990, stated that military spending was at 20% of GDP, while Gen. Vladimir Lobov, chief of the General Staff, stated in late 1991 that military spending was over one-third of GDP. However, even those estimates could not explain the depth of the economic crisis that hit the Soviet Union in the late 1980s-early 1990s. During World War II, the United States was annually spending up to 45% of its GDP on the war effort, while industrial growth stood at an annual rate of 16.9%. During the war years, its investment in the economy increased 65%, industrial production doubled, while power-generating capacity increased by 75%. None of that spending, however, was achieved at the expense of the people’s living standards. On the contrary, real wages during the war grew 50% amidst almost full employment, while per capita food consumption increased 15% to 25%. The Soviet Union was also spending more than one-half of its GDP on the armed forces. Despite the tremendous destruction and losses it sustained in the war, it managed to not only achieve prewar production levels soon after the war but also create nuclear weapons and their delivery means within the shortest possible time span. By contrast, Russia, 15 years after the breakup of the Soviet Union, has yet to reach the prewar production level even though military spending (including on arms procurement) has been reduced many times over. Meanwhile, it is still widely believed that the military-industrial complex brought the U.S.S.R. to economic collapse. Defense Minister Sergei Ivanov once said that in the Soviet era, the military budget was as large as 25% to 30% of GDP, and that “we all know what happened very well.” Other politicians suggest that the share of the military-industrial complex was even higher. For instance, Yevgeny Primakov in his book, Eight Months Plus, writes that “the defense sectors of industry created up to 70% of GDP,” while Gavriil Popov, in a recent TV interview, put the figure at 80%. None of these estimates are backed up by statistics. Gosplan's official data, for example, show that in the late 1980s, the defense industry employed 9.5 mln people (including 6.5 mln to 7 mln in the Russian Federation) of the total 130 mln workforce, consuming 20% of sheet steel, 9.3% of rolled steel and 23.6% of rolled aluminum products, while the complex's fixed productive capital was 6.4% of the Soviet aggregate. A wrong diagnosis leads to a wrong course of treatment. Having declared the military-industrial complex guilty of ruining the economy, Mikhail Gorbachev decided to reduce arms procurements (by 10% to 20%) and launch a comprehensive program for converting the defense industry to civilian production. However, he carried out those initiatives in such a manner that made the economic situation even worse. All production capacities that were freed as a result were immediately transferred to mobilization reserves and thus demobilized. As for the five-year conversion program that was adopted in December 1990, it simply provided for the creation of new capacities to produce civilian goods (40 bln rubles for production and 36 bln rubles for R&D programs). That huge investment was only supposed to double civilian production. To put the Russian economy on a peacetime footing, Russia could have simply resorted to America’s post-WWII experience involving the demilitarization of its economy. That experience was all the more valuable since the Americans dismantled their military industry rapidly, as well as painlessly for their population, without economic recession or soaring inflation. By 1948, U.S. military spending fell to 3.2% of GDP from 43% in 1944, while 12.4 mln people were released from defense production. Employment in the aircraft industry, for example, fell from 2.202 mln in November 1943 to 240,000 in 1947. The figure leveled off at 256,000 in 1950; in the shipbuilding industry, the figure went from 1.778 mln to 138,000, respectively; and in the artillery and small arms production, from 1.436 mln to 24,000. By June 1950 (the beginning of the War in Korea), the number of people employed in the military industry promptly returned to the 1940 level. Unemployment increased from 1.2% in 1944 to 3.9% in 1946-48. That level was much lower than in 1940 (14.6%) or 1941 (9.9%). Although GDP naturally shrank (by 1.9% in 1945, 19% in 1946 and 2.8% in 1947), already in 1948 it began to grow (by 3.9%). FRS interest rates, which had stayed at 1% throughout the war and the first postwar years, rose slightly to 1.34% in 1948. As for inflation, the only surge (2.8%) was registered in 1948, but was brought back to normal the following year. In the early 1990s, both the U.S.S.R. and Russia seemed to have even more favorable conditions for a transition to a peacetime economy than the United States had in 1945. Even if Gorbachev’s estimate (20% of GDP) is taken for granted, the militarization level of the Soviet economy was only half of the U.S. level (45%). The Soviet military industry employed 9 mln people compared with 13 mln to 14 mln in the United States; the Soviet military had a numerical strength of 5 mln people, whereas the U.S. military was 13 mln. Furthermore, the Americans had to carry out a conversion program single-handedly with no outside assistance—on the contrary, they had to help others. Meanwhile, the Soviet Union was offered substantial assistance from other countries—both in expertise and in financial aid (e.g., many billions of dollars paid by Germany for the withdrawal of Soviet troops). Why, then, did Soviet GDP halve, and why has Russia still not recovered to its former level 15 years later? Why did inflation in the 1990s jump to over several thousand percent a year and why did unemployment get out of control? Because we did the exact opposite to what the Americans did in a similar situation. So what exactly did the Americans do? First, as mentioned earlier, they drastically scaled down their military production, while keeping this transition on extremely generous terms for the arms suppliers. In particular, the U.S. government compensated up to 90% of the losses that companies incurred due to the cancellation of military contracts. The U.S. Congress established an expedited, fast track procedure for financial settlements on cancelled contracts, contrary to protests from the Comptroller General who insisted on a preliminary audit to prevent abuses by contractors. The Congress argued that the procedure proposed by the Comptroller General would have frozen billions of dollars in working capital, especially in small- and medium-sized businesses. Second, the U.S. government sold, at a fairly moderate price, or leased to private companies the majority of the 1,600 plants that it had built during the war. Many plants, which became unnecessary in peacetime, e.g., 51 synthetic rubber-making plants, were simply closed. Third, in expanding the civilian production, the government gave priority to stimulating public demand. It not only preserved the huge deferred demand, which by the end of the war stood at about $160 billion (equal to annual GDP), by keeping inflation in check, but also implemented measures to increase it. In particular, demobilized servicemen were paid a total $20 billion from the federal budget in the first three postwar years. Another $1.5 billion came from state treasuries. That was very big money, even by contemporary standards. To put these expenditures into context, the entire U.S. military budget in 1947 was $11.7 billion. This radical scaling down of U.S. military production deprived the majority of arms producers from lucrative defense contracts. This change of events forced them to switch to civilian production, which, combined with popular demand for such products, enabled the United States to move from wartime to a peacetime economy without recession, serious inflation or unemployment, and provided an impetus to business activity. In the 1944-48 period alone, consumer spending on durable goods tripled while the volume of housing construction exceeded by tenfold the prewar level. The Yeltsin-Gaidar government did exactly the opposite. First, in the absence of any military threat, it preserved an unjustifiably high level of military production. In particular, the 1992 defense production order was huge. It included 110 combat aircraft (without strategic bombers), 30 ICBMs, 28 submarine- launched strategic missiles, and 8 strategic bombers. To understand the burden that this production placed on the Russian economy, it is enough to compare the 1992 defense contract with the current one. In 2006, the Defense Ministry ordered just 6 Topol ICBMs, no submarine-launched strategic missiles, and 8 combat aircraft, including one strategic bomber. During one Cabinet session (chaired by the RF Secretary of State, Gennady Burbulis) where the 1992 arms production order was the subject of debate, the military, led by the chief of the General Staff, objected to the inclusion of ICBMs and strategic bombers into the defense order, asking instead for more funding for the procurement of spare parts and housing construction programs. However, Deputy Minister of Economy Ivan Materov, the keynote speaker, defended the production of the unnecessary missiles and bombers by arguing that it was necessary to provide employment in the defense sector. It was with the same rationale that on March 17, 1992, Yegor Gaidar signed off on a state order for the production of $5.4 billion worth of arms and military equipment for export, which was almost four times as large as Soviet arms exports in 1991 ($1.55 billion). It turned out later that the Russian defense industry managed to sell abroad only $1.1 billion worth of arms produced under 1992 contracts, leaving unsold about 400 tanks, 200 self-propelled artillery systems, 16,000 missiles of different types, and many other weapons. Second, unlike the Americans, neither the Gaidar government, nor the Chernomyrdin government that replaced it, took any steps to close or restructure defense enterprises that were in effect redundant or operating below capacity, or to transfer them to the reserves. Russia inherited from the Soviet Union 1,700 defense industry enterprises; today, Russia’s defense industry complex still has 1,700 enterprises even though many of them have long ceased producing military goods. While the Americans, within just a few years, reduced the number of people employed in the aircraft industry almost 10 times (to 240,000 in 1948), in 2000, the Russian aerospace industry had 1.2 mln employees who produced $2 billion worth of goods, whereas the aerospace industry of entire Europe produced $72 billion worth of goods with 800,000 employees. Third, and most importantly, the Gaidar government effectively wiped out the same resource on which the United States had relied in switching to a peacetime economy: specifically, the demand for consumer goods and production facilities. The colossal financial resources on private accounts at the Russian State Savings Bank (Sberbank) were simply frozen. As of January 1, 1992, about 100 mln Russian citizens (i.e., almost the entire adult population) had 400 billion rubles on 140 mln bank accounts. In 2003, Russia’s recognized internal state debt resulting from the state’s failure to return bank deposits, which were frozen on June 20, 1991, stood at 10.9 trillion rubles ($343 billion). Yet the lifting of restrictions on the import of goods irrevocably blocked the path to the demilitarization of the Russian economy. Russian defense industry enterprises, unable to compete in the production of consumer goods with cheap imports, had no option but to hold on to what they knew how to do best—weapons production. This, despite the fact that the production of weapons was no longer as profitable as it had been previously. The backwardness of the civilian sector was directly proportional to the resources that were denied it in favor of military production, thus the economy could only barter goods through a direct distribution of resources at artificially set prices. If such an economy is abruptly placed on a free market basis with the lifting of price controls, the entire system of technological and financial relations will simply collapse. This was exactly what happened to Russia in the early 1990s. This skewed economic setup, when the economy does not respond to a fall in arms procurement and prevents the re-funneling of resources from the military to the civilian sector, can be described as structural militarization, in contrast to militarization that can be measured through the share of military spending and military production in the national budget, GDP, etc. In a structurally militarized economy, arms procurements can come to a halt (which is what happened in Russia by the mid-1990s), but this will not automatically make the civilian sector more effective. Furthermore, it is possible for the economic situation in such a country to worsen. Paradoxically, in a structurally militarized economy, resources are mainly wasted not in the defense sector but in the civilian one. Because the economy is in extremely poor shape, even the maintenance of the civilian sector requires a colossal amount of resources: raw materials, energy, machinery and equipment. To support its pathetic agricultural complex, the U.S.S.R. had to produce six or seven times as many tractors and several times as much fertilizer as the United States. Sooner or later such an economy must collapse, as happened to the Soviet Union in the late 1980s-early 1990s. The Soviet economy collapsed not due to the overproduction of arms but rather an overproduction in the civilian (above all, raw materials and basic) sectors of industry—similar to how the U.S. economy collapsed during the Great Depression of 1929-33. This was ignored by our neo-reformers who attacked the military-industrial complex as the root cause of all Soviet economic troubles. The Soviet economy was a pyramid whose base was comprised of, according to Academician Yuri Yaryomenko’s definition, “low-quality resources.” In other words, it was an economy built around raw materials, basic industrial products (steel, coal, aluminum, etc.) and an unqualified workforce. At the apex of this pyramid were advanced technologies and specialists, designers, engineers and highly qualified workers, i.e., high-quality resources. Thus, the military-industrial complex was an effective mechanism of transforming low-quality resources into high-quality resources, but for military purposes only. The opening of state borders for the export of raw materials and basic goods helped quickly deal with the overproduction problem. Bequeathed by Stalin and intensified by succeeding Soviet rulers, mobilization resources were simply dumped on the world markets and sold off on the cheap. The price of resolving the overproduction crisis in such a manner proved inordinate. However, it was not just a matter that industrial production halved and living standards plummeted. The Americans also paid for their 1929 crisis with the loss of one-half of industrial capacities and massive unemployment. But they cut production more or less evenly. In Russia, however, the Soviet military-industrial complex was jettisoned, while the raw materials and basic sectors of industry were given a major boost for further development. As a result, what is now proudly called the “Russian defense-industrial complex” is simply a couple thousand enterprises from the Soviet era that have outlived their usefulness. The present success of arms export can only delay but not stop the disintegration of the defense-industrial complex. Having senselessly destroyed the military-industrial complex, we have lost not simply the opportunities to develop and create new weapons, but also our place in the post-industrial world. After all, the Soviet military-industrial complex had concentrated the basic components of a modern economy: continuous education to high standards of excellence, a well developed applied and fundamental science, powerful transport and energy systems, and major head start and work-in-progress efforts in defense technology. Why then did Russia’s neo-reformers not use the potential of the military-industrial complex after the Cold War? Usually, in explaining their reforms of the early 1990s, the reformers say proudly that they adopted methods and approaches that had proven themselves in other countries, that there were no other ideas, and that only they were ready to assume the responsibility for leading the economy out of a crisis. This is not so, to put it mildly. There were alternative proposals, and they were put forward quite openly. Academician Yuri Yaryomenko, an economic adviser to Mikhail Gorbachev from May 1991, proposed one well-known and detailed program. He believed that to break the deadlock, it was necessary to “transform military power into economic power” by funneling high-quality resources generated by the military-industrial complex to civilian sectors of industry, with the conversion of the defense industry being the main instrument of such transformation. “Conversion,” Yaryomenko wrote, “is not about using defense industry enterprises to produce non-military products, but using the resources concentrated in the defense sector for restructuring the entire economy.” Yaryomenko stressed that “most of the special equipment and special technology in the defense sectors of industry should be scrapped [that was exactly what the Americans did after the war], since they could not be used for anything but arms production.” At the same time, he said it was vital to separate military production from civilian production. “Transition to civilian production,” he wrote in August 1990, “should proceed comprehensively, not piecemeal. I am sure that if the State could move along these lines, we would soon have major, competitive industrial centers preserving and advancing high technology and driving effective consumer demand.” Yaryomenko predicated successful conversion on the abandonment of the mobilization doctrine and the adoption of a policy of economic self-sufficiency in order to protect enterprises implementing conversion programs from external competition. The present author, who in 1991 was deputy chairman of the RSFSR State Committee for Defense and Security in charge of conversion programs, in an interview with the Demokraticheskaya Rossia daily (June 21, 1991), proposed using mobilization reserves for conversion purposes, arguing that the Soviet Union had “ideal conditions for rapid and radical conversion.” Robert R. Nathan, who had overseen the mobilization of the U.S. economy during the war and later its re-conversion, noted the interview. During a visit by a Russian military delegation to Washington in early October 1991, Nathan said that conversion of the Soviet military industrial complex would be completed within one and a half to two years, and if invited, he was ready to act as a consultant for the Russian government on conversion matters. He also said that after the war in Korea, he and his consulting agency, Nathan Associates, had for 10 years been helping the economic reconstruction effort in Korea on behalf of the UN. In comparison with that task, he observed with a smile, conversion of the Soviet defense industry was a piece of cake. At that time, Deputy Secretary of Defense Donald J. Atwood also volunteered to go to Moscow with a group of experts to share U.S. re-conversion experience. The Russian government, however, ignored the opinion of Atwood when he visited Moscow in late October 1991 with a large team of experts. In an interview with Kommersant daily just before departing from Russia, he said that during his visit he had not seen any signs of conversion and that no one either in the Soviet Union or in Russia understood the meaning of conversion. Russian neo-reformers also ignored the experience of other countries in their attempts to make the transition from a militarized economy to a civilian economy. Between July 16 and 26, 1991, a large delegation of Japanese businessmen (including several experts from the United States) visited the Soviet Union to study the conversion of the Soviet military industrial complex and offer consultation in implementing a conversion program based on the Japanese experience after World War II. The delegation acted on instructions from the London Summit of the G7 in July 1990 when the group of leading industrialized countries decided to provide assistance to the Soviet Union in carrying out conversion programs. The delegation visited a number of defense industry enterprises, meeting with many representatives of the Soviet and the Russian government. In October 1991, a report on the results of the trip was sent to the Russian government. It was an extensive and extremely interesting document. It was drawn up into three parts: an appraisal of the status of Russia’s conversion program, a detailed description of Japan’s transition from an over-militarized to a market economy after World War II, and recommendations on implementing the conversion of the Russian defense industry and building a market economy. Neither the then Russian government, nor any subsequent Russian governments, followed those recommendations. First, impose a two- to three-year moratorium on arms production during the conversion period. Of course there were certain types of military production facilities that could not be brought to a halt, but they constituted a very small proportion of the total. There were certain arms production sectors that could be simply closed. Such a move would release a colossal amount of equipment, resources, fuel, energy, and so on. Second, revise the entire system of mobilization readiness, scrapping the mobilization plan. If enterprises wanted to retain reserve capacities, they should spend their own resources for it. The same thing applied to the Defense Ministry. This constituted an indispensable element of radical conversion. Third, transfer all enterprises from the control and tutelage of ministries, making them economically self-sufficient. Otherwise the process could assume ugly forms, and that kind of conversion “according-to-the-ministry” would be more trouble than it was worth. Fourth, terminate all defense contracts, paying appropriate compensation to the enterprises and providing them with start-up capital. It was necessary to create a central administration to manage property and equipment released as a result of conversion. Fifth, declassify defense industry technologies so that they could be used in the civilian sector. This is a colossal reserve that could help quickly advance the country’s industry. The most important thing was to rectify economic misconceptions. Those who thought that a market economy would automatically lead to the production of the necessary consumer goods failed to face up to reality: enterprises in the civilian sectors of industry could not satiate the market. Russia’s civilian industry was obsolete, weak and unviable. With normal pricing mechanisms those enterprises would not be able to recoup their costs (raw materials, energy, etc. ), while the defense sectors of industry with their technology, equipment, and qualified labor were well in a position to meet demand. Of course, directors of the military-industrial enterprises were concerned above all with their own survival, not the development of the civilian sectors of industry. Therefore, to convince them about the need for full conversion, it was essential to demonstrate beyond any doubt that there would be no return to the old ways. In other words, what was needed was “shock therapy” for the military-industrial complex, not for the population, as proposed by Gaidar. U.S. experience was also helpful in this regard. Demilitarization of the economy is still a highly relevant issue, especially concerning the recommendation to separate military and civilian production. Meanwhile, military and civilian goods are still produced at the same enterprises. As a result, we still do not know how much is being spent on defense, while taking solace in the fact that the share of the military budget does not exceed 2.7% of GDP. At the same time, real military spending is determined not by its share of GDP, or the state budget, but by the economic development opportunities that have been missed as a result of militarization. If we look at the past 15 years from this perspective, we will see that our economy has become even more structurally militarized. Meanwhile, the raw materials sector was created strictly for war; there was no consideration for the competitiveness of these resources on world markets. And it is quite possible that with every ton of oil, steel and aluminum exported, the country only became poorer. As a matter of fact, we are now seeing a recurrence of the situation of the late 1980s-early 1990s, when the overproduction of raw materials brought the Soviet economy to collapse. Today, this overproduction has assumed a monetary form, while its real scale is blurred by the phenomenon of capital flight. The Stabilization Fund and gold and currency reserves are steadily growing, but they are not being used to any good effect either at home or abroad, destroying the non-raw material sectors of the economy and the social fabric of society. Capital flight and foreign debt servicing are the only safeguards against an overproduction crisis (as in 1990-91) and hyperinflation. However, there is still hope. It must be understood that capital taken out of the country, together with the stabilization fund, oil wells and aluminum plants, are the mobilization reserves that we inherited from the Cold War era, not something that we created, and that these reserves should be put to effective use. Russia missed its opportunity to use the end of the Cold War era for creating a Russian economic miracle like the American re-conversion of 1945-48. As for the aforementioned recommendations by the Japanese delegation of industrialists to build a high-tech economy in place of an over-militarized economy, they are quite relevant and applicable even now, especially given that the former head of the Japanese delegation has an office in Moscow. The experience of South Korea, the FRG and other countries in the postwar development of a market economy is also very instructive. The sooner this stage is passed, the sooner Russia will be able to build a free and bona fide market economy. Furthermore, it is quite possible that due to endemic corruption and the omnipotence of bureaucracy, Russia will need the most radical methods of economic liberalism that was undeservedly compromised in the 1990s.